Founded in 1929 by a select group of craftsmen, the Hollywood Lighting Fixture Company (forerunner of ELA) specialized in decorative lighting for movie sets. Some of the biggest names in Hollywood, including Alfred Hitchcock, soon became familiar with the workmanship of this fine manufacturer. HLFC was the primary source for the most spectacular lighting fixtures used in the making of motion pictures. Based on their work in the movie industry, HLFC rapidly became a favorite among architects and designers in Southern California. A new market opened in the custom commercial decorative lighting field. It became widely known that HLFC was the only local source providing lighting with the sophistication found only in Europe. Then, during the 1950's and the advent of large scale hotels in Las Vegas, HLFC entered another arena - the hospitality market. To better reflect its primary business concentration, HLFC changed its name to Custom and Architectural Lighting (CAL). While continuing to build new custom lighting for large hotels, CAL was also being commissioned to restore the lighting of old, historical luxury hotels as well as government and state capitol buildings. In the late 1970's, CAL was introduced to Environmental Lighting for Architecture, Inc., a small manufacturer of outdoor lighting with impeccable quality. As the two companies became better acquainted with one another, a mutual respect was built, and it was decided that a merger would be mutually beneficial. The new company assumed the name Environmental Lighting for Architecture, Inc. (ELA). ELA continued to build magnificent custom lighting fixtures for the commercial and hospitality markets in addition to quality residential outdoor fixtures. Many of the new concepts designed by the custom division inspired new designs for the residential market, thus introducing a new and finer line of interior fixtures. 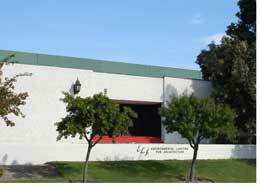 In 1982, ELA moved to its current manufacturing plant in the City of Industry, California. While continuing to offer an integrated mix of quality lighting fixtures, ELA established itself with a select group of lighting showrooms throughout the nation, allowing ELA to flourish rapidly. In 1990, ELA acquired its own foundry to accommodate the increasing demand of aluminum castings. Located just 125 miles south of ELA in Tijuana, Mexico, Fundidora Cal operates with the utmost quality in mind. After a quality assurance check, the foundry receives a direct shipment of U.S. aluminum weekly from ELA. In turn, ELA receives a fresh batch of castings weekly from the foundry. By controlling the production schedule of our own foundry, we are better able to serve our customers. Today, ELA offers the same impeccable quality, unique designs, and unmatched service that made us the talk of the town in Hollywood over 85 years ago. Because of our outstanding custom capabilities, we are able to manufacture almost any modification of our product that is requested. Whether it's changing the optical system, light source, arm, lens material, or finish, we can meet the 21st century demands.